Churches in Algeria are facing intimidation and harassment, despite constitutional provisions guaranteeing freedom of worship in the country. On Sunday 24 April, 2016, a church in Mâatkas, in the north-eastern region of Kabylie, was ordered to cease all religious activities on the grounds that it was in breach of a 2006 law which regulates non-Muslim worship. The authorities have threatened to commence legal proceedings against the church if Christian worship continues in the building currently being used by the church. The notice provides no further detail about the alleged infringement, nor any timeframe within which steps should be taken to ensure compliance with the law. 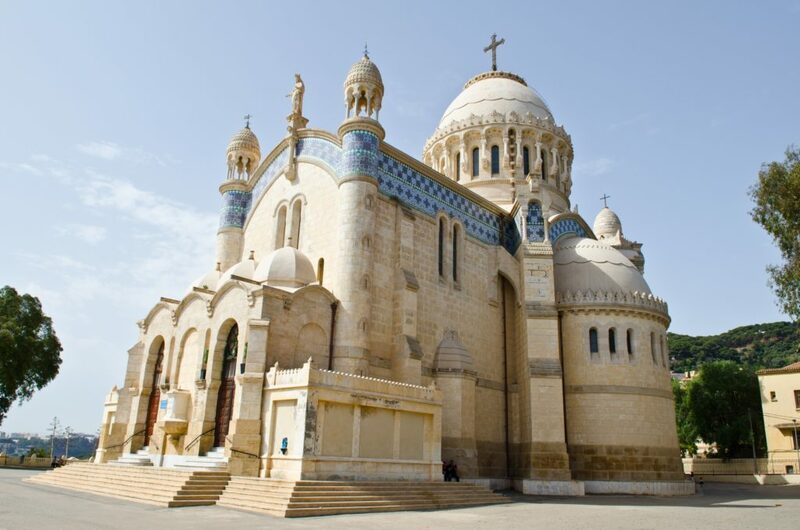 The church in Mâatkas is affiliated with the Protestant Church of Algeria (known as EPA, its French acronym), which is legally registered. In response to the notice, the president of the EPA, Rev. Mahmoud Haddad, said it was a violation of the freedom of worship enshrined in the Constitution. “The new Constitution, passed in February 2016, has duly established freedom of religious worship. Its Article 36 clearly states that freedom of religious worship is guaranteed in compliance with the law,” he said. “The house where church conducts its worship was rented on behalf of the EPA, which has an official agreement from the Ministry of the Interior. It is the second case encountered by a church affiliated with the EPA since the beginning of the year. In February, authorities issued a notice to the church in the town of Aït Djima, also in Kabylie, ordering it to close for breaching the 2006 law. But the church has continued its activities, arguing that there has been no breach of law. The church leaders told the regional authorities about their activities and provided all relevant documentation, including a statement confirming the church’s affiliation with the EPA. This situation reflects a long-standing legal difficulty faced by churches in Algeria. The 2006 law stipulates that permission must be obtained before using a building for non-Muslim worship, and that such worship can only be conducted in buildings which have been specifically designated for that purpose. But in practise, the authorities have failed to respond to almost all applications from churches for places of worship, including churches affiliated with the EPA. In view of the authorities’ failure to respond to applications, it has become standard practice for churches to rent premises and inform the local authorities that they have done so. In May 2011, the mayor of Béjaïa invoked the 2006 law to order the closure of seven protestant churches accused of operating ‘’illegally.” However, as a result of pressure from the EPA and a wave of protests from activists and human rights groups, the mayor withdrew this order. The 2006 law, which is aimed at regulating all religious worship except Islamic, is used as a tool of persecution by the authorities, said Rev Haddad, who is also pastor of a Protestant church in Algiers, the capital. “It is an unjust law against Christians, who were denied their right to worship and the opportunity to share the Gospel freely,” he said. Since the law was adopted, several Christians have been sentenced to suspended prison terms and fined. In 2008, Christian teacher Habiba Kouider was charged under the 2006 law for illegal possession of bibles. Her trial drew widespread media attention and rebukes from the European Parliament and human-rights watchdogs such as Amnesty International. The case is still pending. Rev. Haddad says “the situation of Christians in Algeria will not improve until the outright law, which is no longer justified, is repealed”. The issue of finding places to worship is a real headache for the church in Algeria, which is experiencing remarkable growth, particularly in the north-eastern province of Kabylie. Of the 43 local churches affiliated with the EPA, only 15 own their places of worship. Some churches have either rented premises, which they have then turned into places of worship, while others gather in homes. In some remote areas, Christians gather in the forest or on the top of mountains to avoid hostile reactions from neighbours. The situation of these churches, devoid of permanent places of worship, prohibits their stability and development. Five churches have closed for lack of a place of worship. To remedy this situation, the EPA has established a special fund for the benefit of affiliated churches in need.